In what was one of the most notorious events in cryptocurrency history, the infamous hard fork of the Ethereum blockchain has caused technical as well as philosophical debates on how a decentralized smart contract project should operate. The original Ethereum manifesto was that “code is law”, and that the Ethereum leadership should not be able to make changes to their blockchain. As a result of the DAO cyberattack, the founding team and prominent members of the community voted to do just that, and luckily they had the best interests of the community in mind. Before we explore this intriguing topic further, we first must look at what initially caused this split. Before there was ETC and ETH, there was just Ethereum. It was a new platform that aimed to revolutionize multiple aspects of society from entertainment to ecommerce and real estate. In what would be the first extremely successful ICO, an organization called The Decentralized Autonomous Organization (DAO), was able to raise over $100 million USD. The DAO’s mission was to be the first decentralized venture fund, ran completely by smart contracts and the Ethereum community. The funds raised in their ICO were meant to be used to fund DApps and Ethereum projects so that these large, costly endeavors could achieve the good they were aiming for. Instead of providing Ethereum developers the capital they needed, the DAO ended up being hacked and losing one-third of their holdings. As it turns out, there was a loophole within the DAO smart contract code that allowed for Ether to be repeatedly extracted from the fund without any limit. This bug was exposed by the community initially, but the Ethereum leadership assured that it would not cause any problems. After the hack occurred, the Ethereum Foundation had two options – hard or soft fork. The community was divided, with proponents of the hard fork saying it was necessary for Ethereum to survive and be able to remain secure in its future ventures. Others, however, believed if a hard fork and new blockchain were established for ETH, then Ethereum would be betraying its own mission – keeping the power out of the hands of the few, and that the original code was immutable. Essentially, a hard fork is when developers create a new blockchain stemming from the old one. This new blockchain would begin at a certain point in the chain, breaking away from the old chain and completely committing to the new one. All participants in the previous chain that did not upgrade to the new chain would lose access to all of its updates and community members as well. As mentioned, this caused a giant rift in the community. Proponents of Ethereum Classic maintained that this new blockchain creation was unethical, and that if the Ethereum leadership did this now, what would stop them from doing it again in the future to suit their needs, rather than the needs of the many. It has been discovered that a lot of the supporters of Ethereum Classic may be critics of Ethereum itself, merely trying to cause disruption and chaos for the Ethereum foundation. But, there are those that simply maintain that the hard fork was unethical. The main difference between these two platforms is that Ethereum, on its fresh blockchain, is the “actual” Ethereum blockchain. All of the prominent figureheads of Ethereum are apart of the new chain which means that all of the updates and scaling protocols only go into effect on the new chain, and therefore the value of Ethereum is much higher than Ethereum Classic. Ethereum Classic is stuck in a blockchain that will experience no updates, and will function only as Ethereum was originally designed. While this may seem like a noble cause, founder Vitalik Buterin has mentioned repeatedly that the old chain has no ability to scale its use cases to the mass audience, and therefore it will not grow in value. Recently, Ethereum implemented a new protocol to its infrastructure, the byzantium hard fork, a part of the larger “Metropolis” update. This event has separated the two similar currencies even further. As Ethereum grew larger and its developers began to plan its implementation to large sectors of society, they realized that the transaction speed and execution of smart contracts was not fast enough. Their network was unable to handle the scale that some of its projects aspired to, especially mass-used dapps, or decentralized applications. Byzantium switched the protocol from acting in a Proof of Work environment to Proof of Stake. Proof of stake has been shown to consistently be up to a thousand times more effective than the original proof of work protocols. These concepts apply to the miners, or those who verify the transactions that eventually make it to the Ethereum blockchain. Originally, the first miner to verify a transaction and cement it into the chain was rewarded with Ether, and miners competed for these transactions. Now, with proof of stake, there is no block reward. The creators of each new block are chosen based on the stake, and the miners simply get the transaction fee. In this system, miners are no longer called miners, but they are referred to as “forgers”. This new system was implemented to improve Ethereum’s scalability, as well as to drastically cut the energy costs of the network. While it may now be a cheaper endeavor to hack the new protocols, it is massively disincentivized. 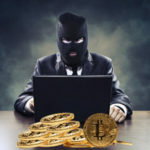 If a validator had bad intentions and attempted an attack, they would immediately lose the deposit they are required to pledge to verify the new block, something that is required in this new update. 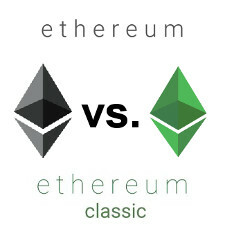 All in all, the split between Ethereum and Ethereum Classic is an intriguing technical and philosophical debate on how this new mode of currency and technology should be governed. Should the Ethereum blockchain be able to be manipulated in dire circumstances such as the DAO breach? Should the community at large have the final say? While the hard fork that created these two sister currencies turned out to be a good choice for Ethereum, it remains to be seen whether or not this decision will have future governing repercussions for blockchain communities across the world. At the end of the day, whether or not the space ends up becoming corrupted is in the hands of its leadership.